The Rotary Club of Oak Forest had their 44th Annual Installation Dinner this past week, being held at the Midlothian Country Club. It was a distinguished night with many awards bestowed and the installation of the 2018/2019 board members. The Oak Forest Rotary Club was chartered on October 1, 1975 and is made up of local business people, civic leaders and those who want to better their community. It is a leading service organization in Oak Forest and around the world. They hold the annual free pancake breakfast and blood drive among other events. Their motto is "Service Above Self". The Paul Harris Fellow recognition acknowledges individuals who contribute, or who have contributions made in their name of $1000 to The Rotary Foundation of Rotary International. Paul Harris Fellows and clubs may bestow a Paul Harris Fellow to a non-Rotarian in recognition of outstanding humanitarian service. 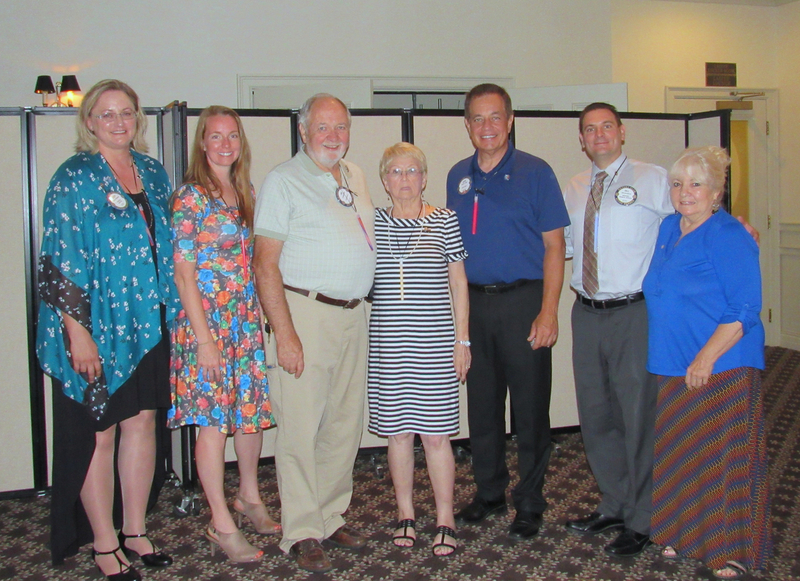 This year the Rotary Club of Oak Forest awarded 3 celebrated volunteers the honor. The first awardee was Marilyn Fischer. She is responsible for the free pantry/blessing box available at Redeemer's Lutheran Church. The second recipient was Bob Frias who is a police officer and has worked tirelessly for the Special Olympics. Lastly, Hank Kuspa, the mayor of Oak Forest, was honored for his steadfast support and volunteer work he does for the Oak Forest Rotary Club. Next, the Rotarian of the Year was awarded to Jody Redmann. The purpose of this award is to recognize a member of the club who has demonstrated exemplary humanitarian service, with an emphasis on personal volunteer efforts and active involvement in helping others through Rotary. The process for each club can be different. Their Rotarian of the Year is chosen by the President with the approval of at least two board members. It is a huge honor and Jody exemplifies the mission of the Rotary where she strives to live the 4-Way Test in her personal and professional life. Then in Rotarian style, Jody presented Joe with an award for his service for the Rotarian life also. Joe Pilch presents Jody Redmann with the Rotarian of the Year Award and then Jody recognized Joe for his service. The Rotary Youth Exchange Presentation took place and honored Grace Culver who is part of this amazing youth exchange program. The Oak Forest Rotary Club sponsors Grace in the youth exchange. Grace lives in Crestwood and just graduated early from Shepard High School. She will spending 11 months in Cancun Mexico with a host family. She wants to become fluent in Spanish and will immerse herself in the community and culture of Mexico. The Rotary Club recognized Grace's huge accomplishment and wished her luck in this huge endeavor. 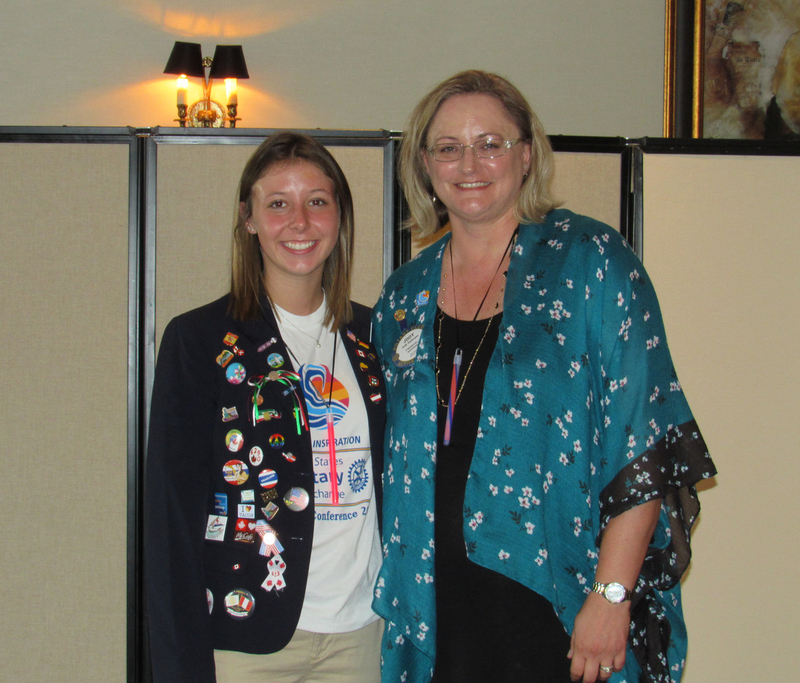 Jody Redmann honors Grace Culver and her success with the Rotary Youth Exchange. 100% Attendance Awards were given to Sue Wolf, 8 years, Bill Zerinskas, 5 years and Jody Redmann, 2 years. The Club ended the night with the installation of the 2018/2019 Board Members. They are listed below. The 2018/2019 Board of the Oak Forest Rotary Club. Pictured Left to Right~ Jody Redmann, Jessica Rucinski, Joe Pilch, Dorothy Kennedy, Dave Lugo, Bill Zerinskas, Sue Wolf.